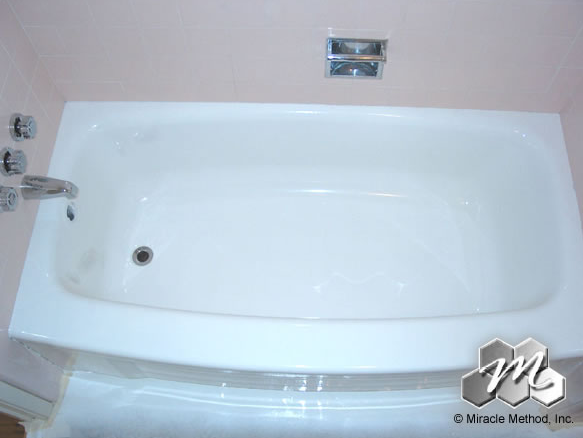 You are here: Home / Bathrooms / Does a refinished bathtub require special care and cleaning? I was cleaning my bathroom the other day and noticed how gross my tub has gotten. I think these are great tips for cleaning and hopefully I can get it refinished here this summer. I love a hot bath every now and then. Important ***What drain opener /un-clogger do you recommend for a newly Miracle- refinished tub since Daino-type products cannot be used ? Thank you. As most plumbers will tell you using caustic chemicals that deteriorate pipes can be dangerous and we don’t recommend them. Since it is in a tub, most of the problem is hair and we recommend snaking the drain. You can start with one of those thin drain snakes found on Amazon for around $5.